Unique and classy light peach statement necklace for every occasion. 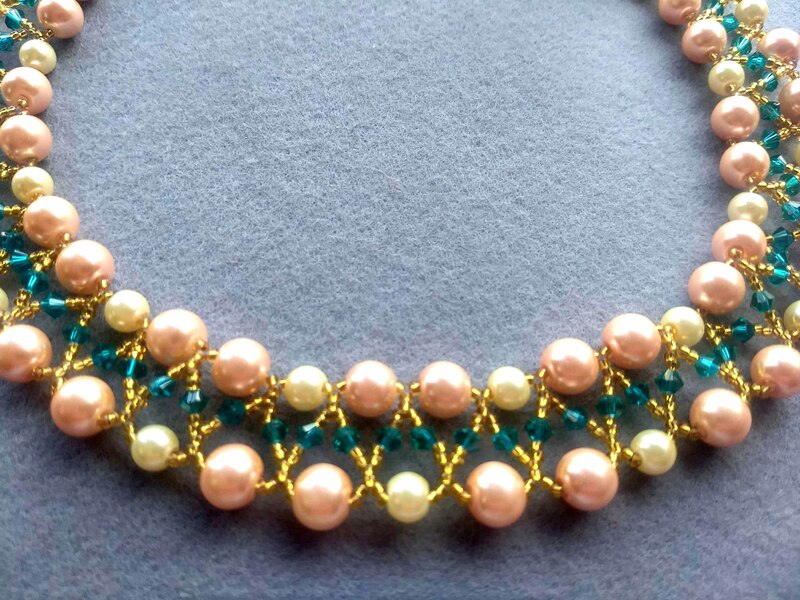 Made using peach colored glass pearl beads in combination with golden and sea green beads. Wear it with a matching Saree or dress, or mix and match with your favorite dress. 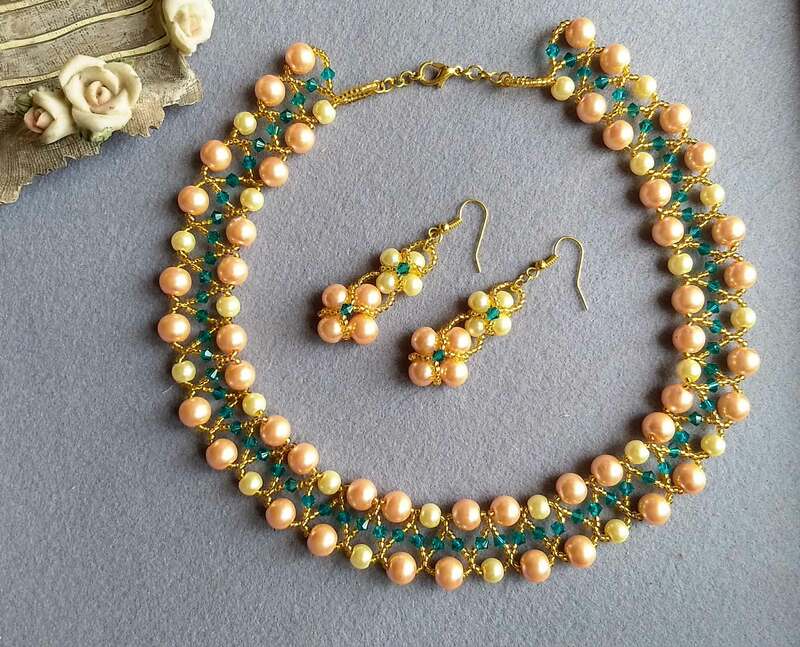 You don't have to go looking for earrings with this beaded choker as it comes with matching earrings made using the same combination of beads. It's a wide choker necklace which looks great with a scoop neckline, boat-shaped neckline or an off shoulder dress. Buy it for yourself or gift it to a friend who loves unique and classy jewelry. ----------------- FEATURES ----------------- -Necklace LENGTH: 17 inches - Width: 1 inches -Earring length: 1.5 inches -Lightweight -Comes with matching earrings -Gold plated lobster clasp -Gold plated ear wire -Fits snugly around the collarbone -durable and easy to maintain ------------------------------------------------------------------------ Check out more chokers at https://www.worldartcommunity.com/shops/fusioncraft --------------------------------------------------------------------------- Tips to maintain jewellery -do not wash. Wipe it with a damp cloth -Store in a clean, dry and airtight jewellery box after use to avoid exposure to moisture and dust. ---------------------------------------------------------------------------- Shipping details: - Ready to ship - Secure multi-layered packing with bubble wrap, polystyrene sheet, shredded paper and cardboard packing box.  - Ships from Mumbai, India - Shipping time: 7-10 days depending on the destination. Happy shopping!!! I fell in love with beadweaving a few years back and haven’t stopped learning and creating since. 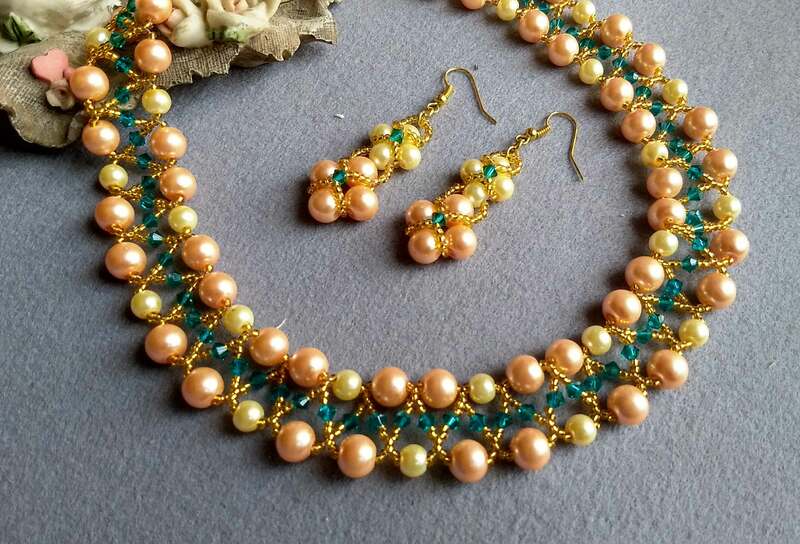 I make necklaces, earrings and bracelets using many different beadwork techniques. 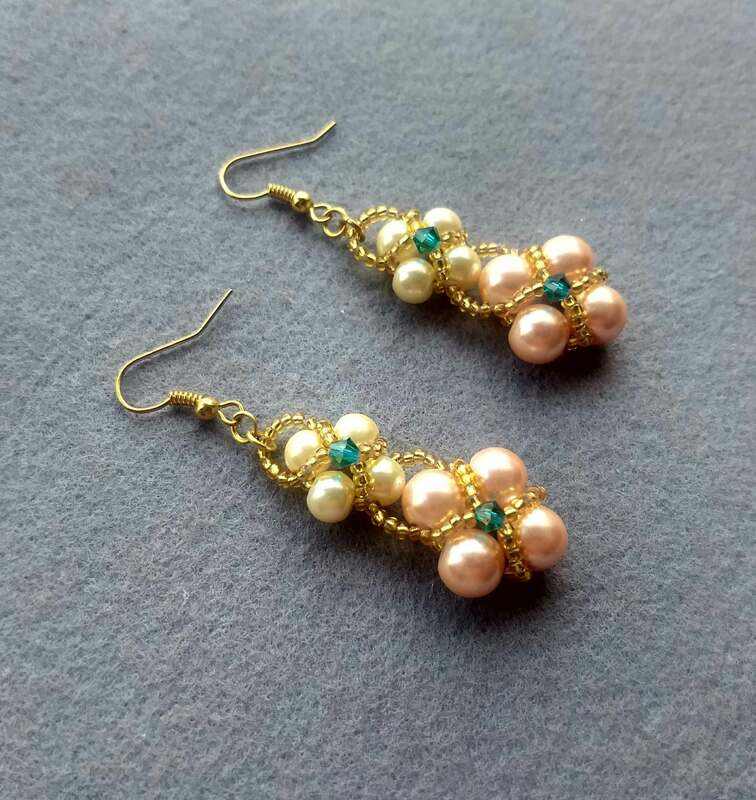 I always use high quality Czech beads to make all the accessories. All metallic parts of the jewellery are zinc or brass based with silver or gold plating.